The perfect companion on your travels, this waist bag from Thailand is handcrafted of leather in a solid onyx color. 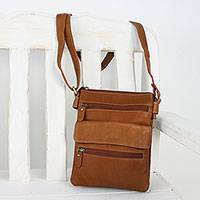 An adjustable strap hugs the waist, and a zipper at the front opens to the bag's brown faux suede interior that features a single inner zipper pocket. 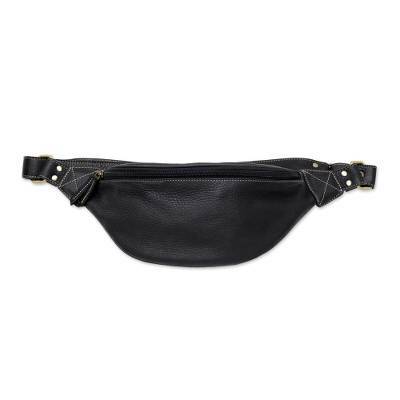 Suchada designs this universally appealing waist bag. Artfully crafted by Suchada from Thailand. "When I first worked with leather, I truly fell in love with it. It's fascinating!" 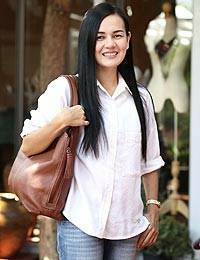 "My name is Suchada Chunsawat and I'm from Chiang Mai where I create leather bags. "When I finished high school, I didn't continue studying. 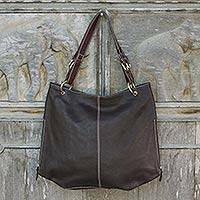 I met a craftsman who makes leather bags and, after showing my interest in contemporary leather goods, he persuaded me to learn. When I first worked with leather, I truly fell in love with it. It's fascinating! 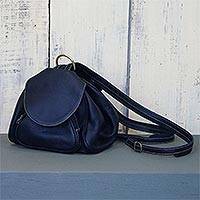 "I learned each step in the process, from getting to know each kind of leather to bleaching, dying, sewing and assembling a completed bag. 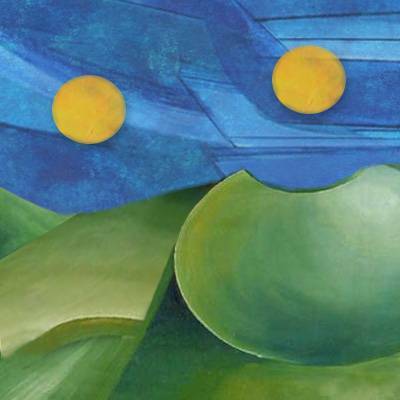 Eventually, I began designing and found talented craftspeople who collaborate with me. "Once I was confident that I knew enough and had enough experience, so I decided to sell my designs in a bazaar. There, I met customers from different countries, listened to their comments asked for suggestions for my own creations. "When I saved up enough, I thought about continuing my studies and enrolled in classes on the weekends so that I could work from Monday to Friday. 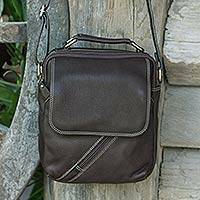 I craft and sell bags, wallets, briefcases, backpacks, small suitcases, shoes and leather jackets. There are usually lots of leather scraps that I never throw away. I use them to train new artisans, who make coin purses or keychains. "When my work doesn't satisfy a shopper, I assure him or her that I can modify the design in question. When I can satisfy clients and see their smiles, I feel encouraged. I hope you like my handcrafted leather designs."